LEWISBURG – Transitions of PA has received over a quarter-million dollars in grant money to combat homelessness and continue helping survivors of domestic violence. In a news release, Transitions says it’s been awarded over $238,000 from the U.S. Department of Housing and Urban Development. In partnership with the PA Coalition Against Domestic Violence, they’ll use the funding to help Transitions provide housing and case management to survivors of domestic violence in our region. Susan Mathias, Executive Director of Transitions says the majority of the funding will expand Transitions’ current rapid rehousing program which began in 2017. Transitions will receive approximately $137,000 in new rental assistance to service victims in Union, Snyder, Northumberland, Columbia, and Montour Counties. 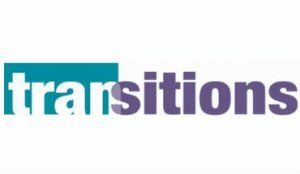 Transitions has also received additional HUD funding for a Coordinated Entry Specialist position that will work with domestic violence service providers in 33 eastern PA counties. That will increase permanent housing after leaving temporary emergency shelter.